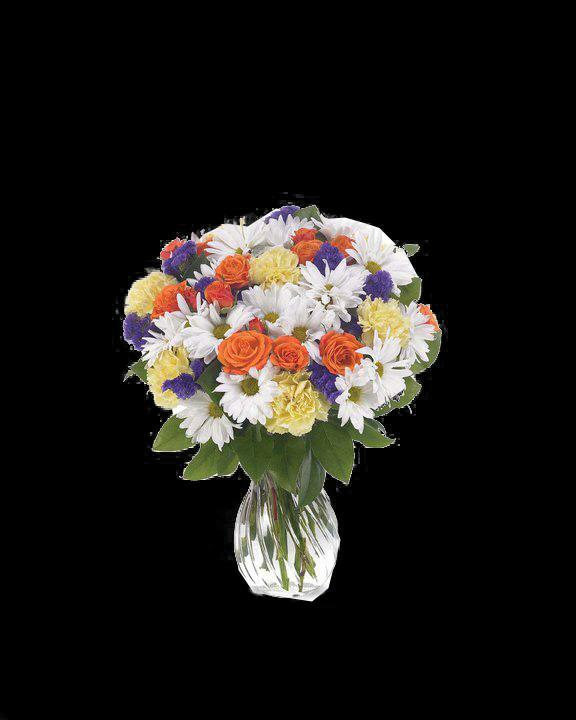 Send this spectacular bouquet of daisies, roses, carnations and statice in a swirl glass vase. It's sure to delight the senses and it's perfect for celebrating any occasion with style. Measures 19"H by 12"L. Suggested Retail Price: $44.99.